My daughter is almost 3-1/2. She can sing her ABC's, she recognizes that letters make words, but she can't recognize letters by name. So, I decided that I am going to make each of the next 26 weeks a letter a week!! I am using things that I already have at home -- because we are saving to buy our first home and I don't want to spend a lot of $! Plus, it's fun coming up with ideas of what to do and what I can use!! Feel free to use my ideas if you are interested in doing this with me... please though... if you blog about it, I would like to be given credit. 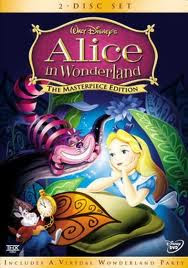 We started out morning by watching Alice in Wonderland. I made sure to point out how Alice starts with the letter A. For lunch we had ham and cheese sandwiches. 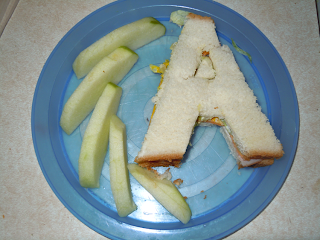 I cut the sandwich in the shape of the letter A. We also ate apples. Again, reinforcing that Alice starts with A and apple starts with A. I also asked her where she saw this shape before. My smart cookie said "on the Alice movie". Once I put my son down for his afternoon nap it was time to work on our A projects!!! 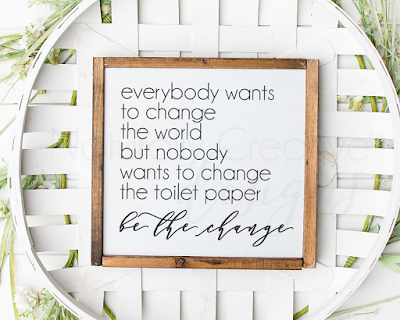 I created this sign using Microsoft Publisher and printed it out on cardstock. I enlarged the letter so that they took up most of the space on the paper. I showed her how both the A and the a have a space in the middle that didn't need to be painted. This helps her to practice "staying in the lines" too. 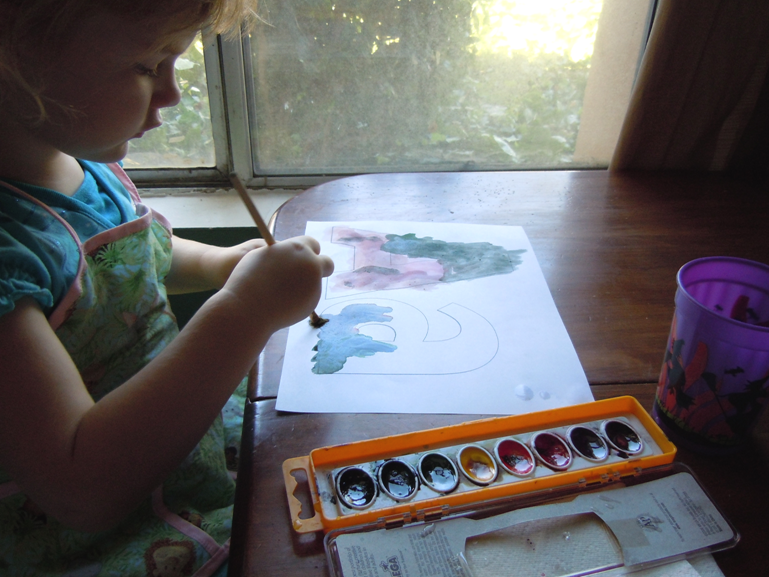 Plus, the process of painting with a small paint brush helps her in preparation for writing and development of her fine motor skills! Once she was done painting, we set it aside to dry. Then we took out her "homework". [That is what she calls her little workbook -- I have been going to school since she was born, so she is very familiar with what homework is!] 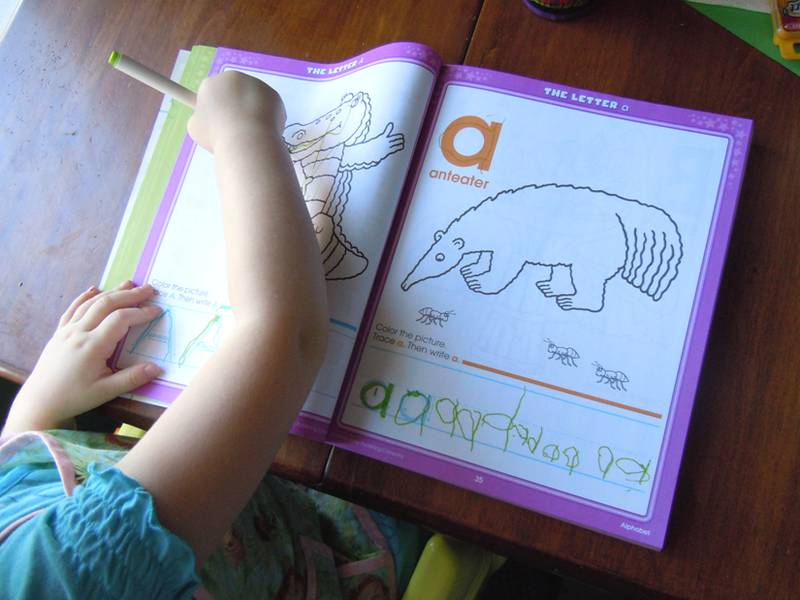 We turned to the letter A and a pages and she practiced writing her letters. For being only 3 I think she did a pretty good job! Then we attempted to make an alligator card. I found the instructions on Enchanted Learning's website here. Didn't quite turn out like the illustration, but my daughter had a great time covering it with stickers! After cleaning up the craft projects we set out to prep dessert for the night -- apple crisp! 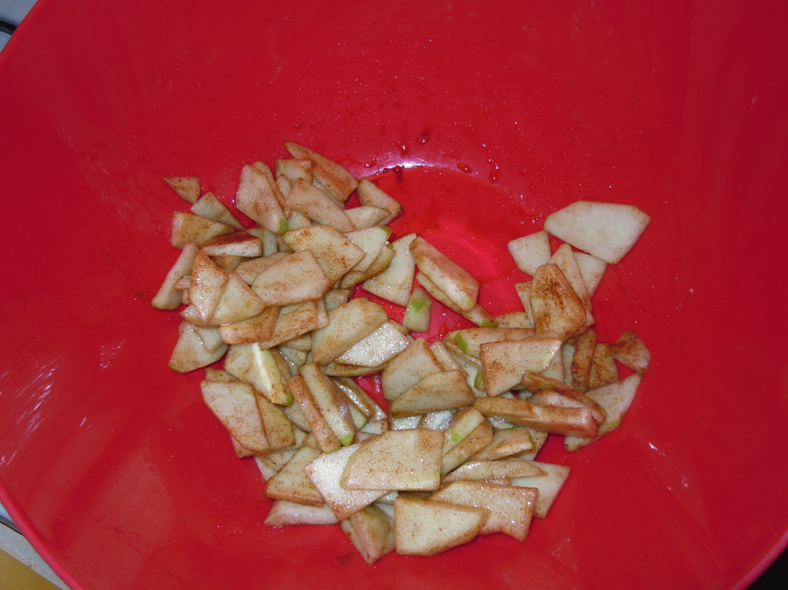 I peeled and sliced 2 granny smith apples. 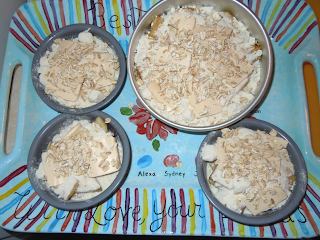 My assistant put them all in a big mixing bowl. To the apples I added a tiny bit of lemon juice, about 1 tsp of cinnamon, and 1/4 c gran. sugar. 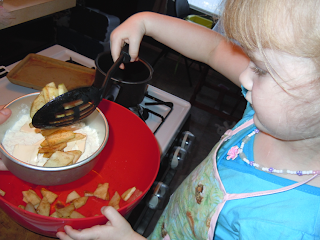 My assistant dilligently stirred the apple mixture while I prepped the baking dishes. 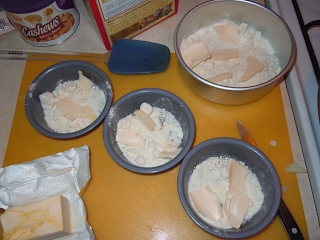 I used three 4 inch diameter baking dishes [that I bought at Joann's a while back], and one 6 inch cake pan. Spray each pan with non-stick spray, or grease with crisco. 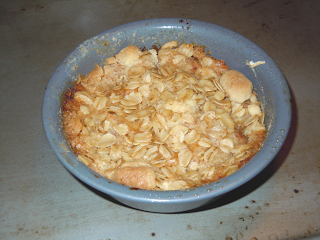 Sprinkle some yellow cake mix in the bottom of each pan and top with small slices of butter. 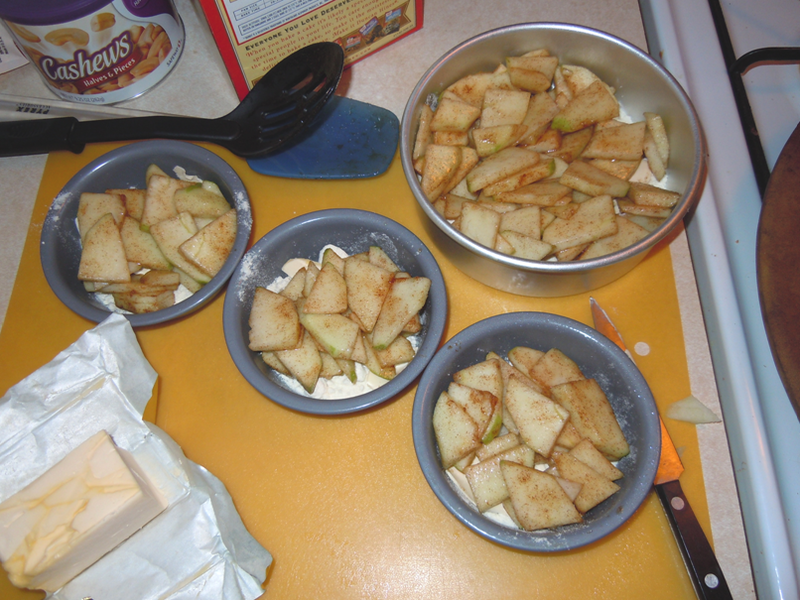 Here are my mixed apples. 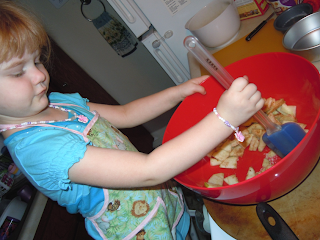 My wonderful assistant helped to spoon the apple mixture over the cake mix and butter in the bottom of each dish. Then top with a little more cake mix and butter. 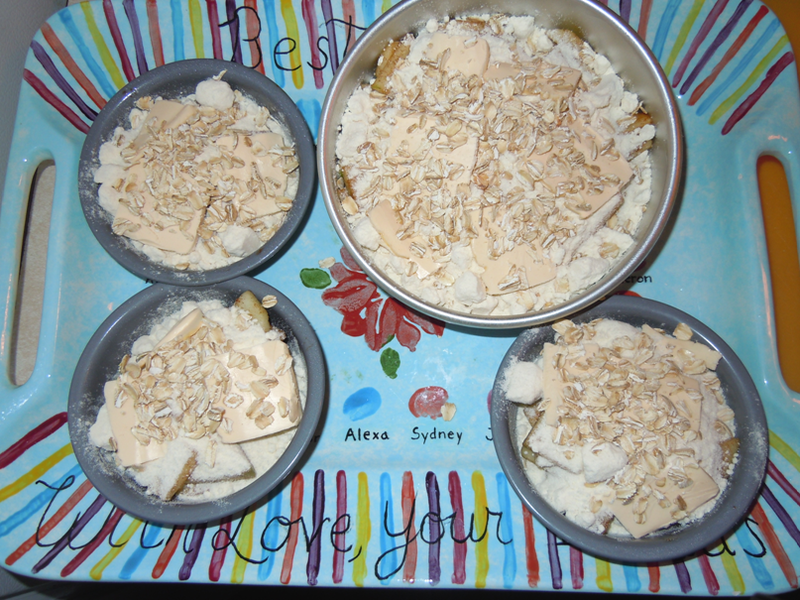 I also chose to add some oats to the top of mine... delish!!! The finished product... just the right size for one person!!! 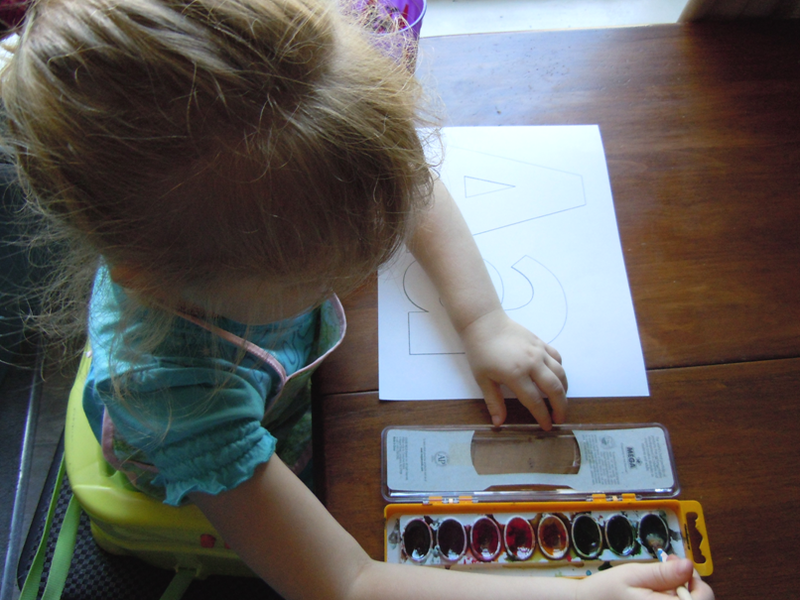 When daddy got home, my daughter was so excited to show him all the letter A things that she did today!!! I hope her enthusiasm is still there when we get to q!! Each day this week we will do something fun with the letter A. I had some suggestions from a teacher friend of mine to print out words on a paper and have her find the a's. Each person in my family happens to have an a in their name! When we go out I will have her try and find a's on signs. We are also going to work on the sound of the letter a and try and come up with as many words we can think of that start with that sound! If you have any suggestions or ideas... or things you have tried that work for you, please feel free to share!! Visit from blog hop Monday and Tuesday, Thanks for join blog hop. And hope you have more follower/ Visitors. Would love to get visit from you/follow back if possible. http://thailandexportersdirectory.blogspot.com -- this is my new blog, need follow. 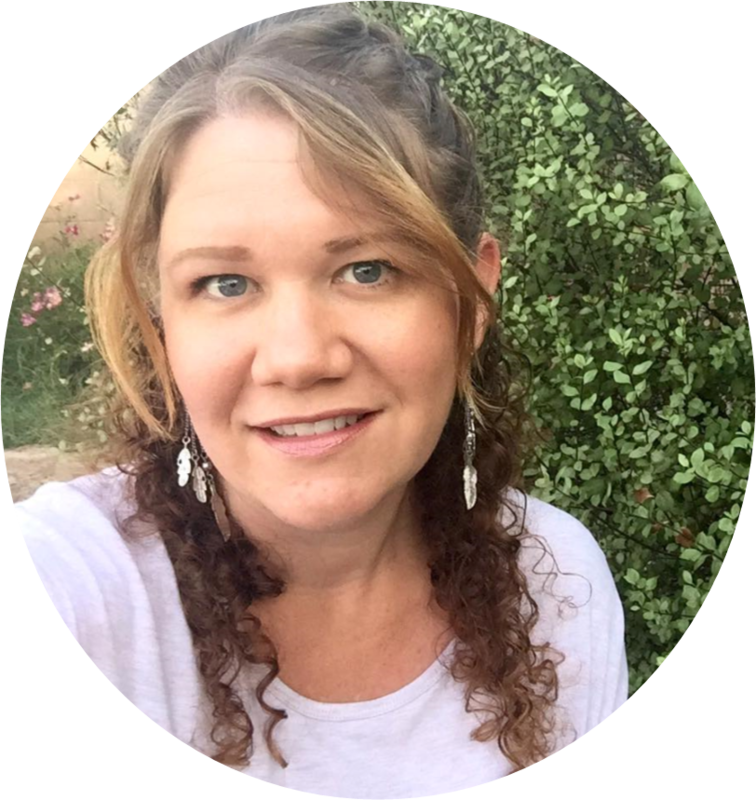 Following by Welcome Wednesday...would love to have you follow back. Hi there! I'm a new follower! 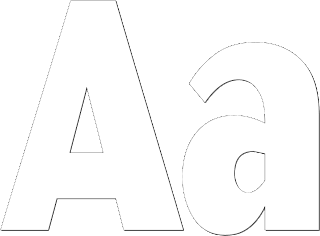 I love the letter A too..My name begins with A and its Absolutely Amazing!